Pirsonal Player delivers the individualized interactive video player experience that evokes the reaction you want from each person while watching an individualized video. Pirsonal’s personalized interactive videos are powered by unique calls to action tailored to the individual. Pirsonal Player, an interactive video player focused on Individualized Video interactions. It helps you create deep connections that drive business results, by displaying an individualized call to action for each person, tracking performance and helping you react. As part of the video platform, Pirsonal’s interactive video player is configured at the moment of the video creation, along with a dynamic landing page. It’s not only about the Individualized Video. It’s about a fully interactive experience. Did you know you can also customize the interactive video player experience for each individual? With Pirsonal Player you can display Dynamic Calls to Action that help you connect with every viewer in a scalable, unique and flexible way. Grab your customers’ attention like never before. Use personalized interactive videos to get a higher response rate from your segmented audience. With Pirsonal’s in-video Smart Forms you can gather more information from your leads and customers. Smart Forms automatically detects when an email is part of the metadata of each interactive video. If an email is found, the interactive video player won’t ask for it. The information is automatically added to your customer’s metadata and can be consumed by your marketing software. Your audience runs mobile. Your Individualized Videos too. The Pirsonal HTML5 interactive video Player has compatibility on mobile and tablet browsers so that you can connect with every peer, regardless of the device. Use Pirsonal’s API or integrations to allocate the right interactive video options for each person, create an immersive, personalized interaction. Pirsonal Analytics helps you track the interactions of every individual towards an Individualized Video. Create interactive videos powered by your data. Measure your customer’s response, share events with your marketing platform and grow your business. Know exactly what’s happening with your personalized interactive videos. React automatically. Access every video and template data through Pirsonal’s Individualized Video API. Easily match an individual within your own marketing, sales or communication tools to create deeper reports and manage ROI. Send events from Pirsonal’s interactive video platform to your own Google Analytics account for a richer overview of every video, lead or customer. Use Google Analytics Real-Time view to know what’s happening and have a complete reading over embedded videos. Pirsonal’s Individualized Video Analytics work with personalized interactive videos hosted on the Pirsonal Video Platform, YouTube and Amazon S3 and distributed through the Pirsonal Player on any browser and device. Individualized Videos by Pirsonal are part of a complete marketing platform to help you reach every lead and customer in a cost-effective way. Evoke the reaction you need to increase customer loyalty, accelerate a sales cycle and skyrocket engagement through Pirsonal’s Individualized Videos. Scalable, automated cloud-based video automation. An attention-driven, responsive landing page is automatically created for every person. 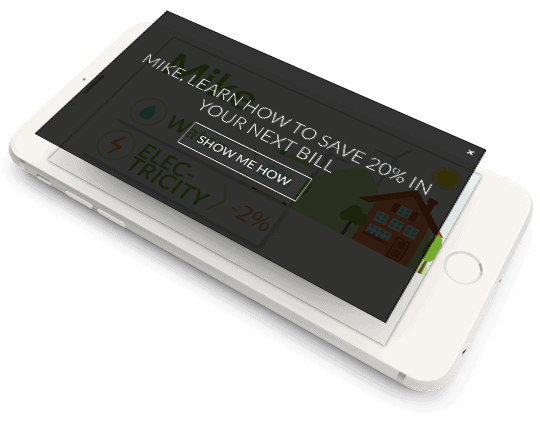 Customized the full interaction with custom images, texts and applications in a scalable way. Pirsonal provides hundreds of integration and a robust API to help you connect the full power of Video Invdividualization to your own data source, based on your triggers and automations. We take data security very seriously. From shielded video processing to data encryption and secure video hosting. Through Pirsonal’s Magic Link the videos are automatically created when an individual clicks on a link. Behind the scenes, we already know the data and template to be merged. A Webhook is a push notification from Pirsonal’s servers to yours or to any software. Through our platform, they can be password-protected. Pirsonal instantly communicates with any app the moment a video is created to integrate it in an email, SMS, a CRM or any system. Automatically upload the Individualized Videos to your YouTube channel with custom metadata and dynamic fields. Easily manage the videos’ privacy settings from the Pirsonal Platform or from Pirsonal’s API. Pirsonal integrates with Amazon Webservices so you can securely host the Individualized Videos in your own S3 bucket. Use your own video hosting, integrate the Individualized Video files wherever you want through Pirsonal’s API, the Individualized Video Platform for developers. Attach any relevant information to every video, from a customer ID, a telephone number or an email. Pirsonal makes it easy to integrate and manage every video with any automation workflow. The Pirsonal video platform takes care of the video encoding so that every Individualized Video works on any type of platform. Pirsonal’s automatic video editing platform takes care of the complete processing, transcoding and rendering of your Individualized Videos. Create the video in one or several formats and resolutions, create custom video profiles. Create Individualized Video Templates on the fly thanks to Pirsonal’s documented, JSON-based scripting language. Create custom Individualized Video templates with Pirsonal’s tools, or rely on Pirsonal’s Professional Services team to help you achieve your goals. Create custom products by using Pirsonal´s API. There are also 1000+ integrations available you can use.